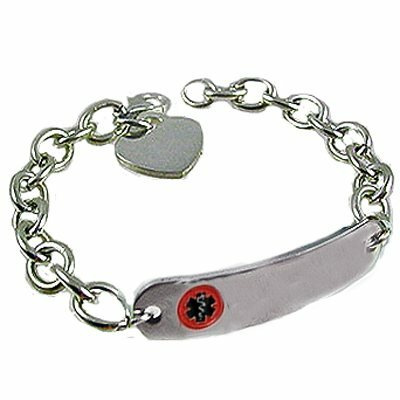 Price includes Ladies stainless tag with laser engraving and sterling silver chain bracelet. Please enter medical engraving in UPPERCASE letters. Thank you.